Ronald Wendner, University of Graz - Austria - Wendner, Ronald, Ao.Univ.-Prof. Mag. Dr.rer.soc.oec. 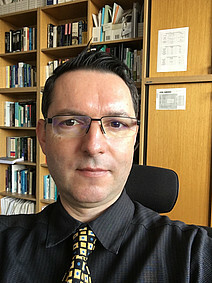 I am associate professor of economics at the University of Graz, Austria. Currently, I am deputy head of the Institute of Economics. My research focuses on macroeconomic dynamics, public economics and social comparisons. I am also member of the editorial boards of Macroeconomic Dynamics, the Economics Bulletin, and Studies in Microeconomics. I spent four years as a research scholar / visiting professor at the University of California at Berkeley (UC Berkeley), Stanford University and Harvard University. I have published in many leading international journals on issues relating to social comparisons and public policy, including in the Journal of Public Economics, the Journal of Public Economic Theory, Oxford Economic Papers, Journal of Macroeconomics, Macroeconomic Dynamics, Economics Letters, and Economic Theory.
" Stay hungry, stay foolish ! "